Dr.Malpani's Blog: How can we make sure doctors see their patients on time ? One of the commonest complaints patients have about doctors today is that they make them wait for hours on end , without any good reason . Most doctors seem to be quite disrespectful about the patient's time and are quite casual about frittering it away. Perhaps it’s because they have poor time management skills – or because they get a high seeing how many patients are waiting to see them. Some doctors are workaholics, and are happy to use their reception area as a waiting room , where patients are taught to be patient . Of course, in many cases it’s just that there too few doctors for the large number of patients which have to be seen, but in some cases it’s just that the doctor is not bothered . This is a tragedy , and can cause patients to become angry . 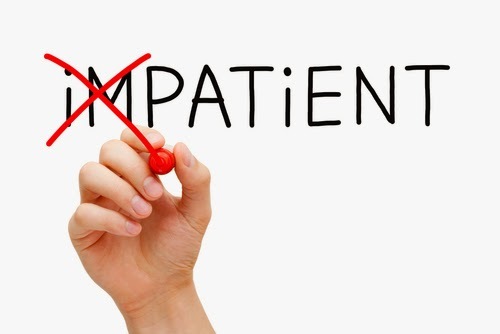 A patient who has been waiting starts becoming impatient, and often this will cause the consultation to start off on the wrong foot. Part of the problem is that doctors who give appointments and stick to them have to deal with the problem of “no-shows” – patients who take an appointment, and then don’t bother to turn up without even having the courtesy to inform the clinic and cancel the appointment. This is a big problem for doctors who are punctual and scrupulous about their time management , because they are then forced to twiddle their thumbs until the next appointment comes in. This is why doctors are forced to overbook, to protect themselves from patients who cannot be bothered to respect the doctor’s time. In order to protect their productivity and reduce their down time, they make patients wait, so they can continue making use of their time and seeing patients, even if one or two do not show up. I can offer a creative solution to solve this problem . Doctors should block one hour every day, where they offer premium appointments with the guarantee that the patient will not have to wait for more than 10 minutes. They can charge double for these prime slots, which can be offered online. Patients who value their time, and want to be sure that the doctor will see them as scheduled, will be happy to pay the premium for these prime slots. If the doctor fails to see the patient as promised, the consultation will be done free of charge. This will also incentivize the doctor to ensure he respects his patient’s time and runs on schedule. This system creates a win-win situation for both patients and doctors . Patients who don't mind waiting will continue doing so, whereas those who don't want to wait will be able to be make sure that the doctor sees them on time by paying a premium for this service .